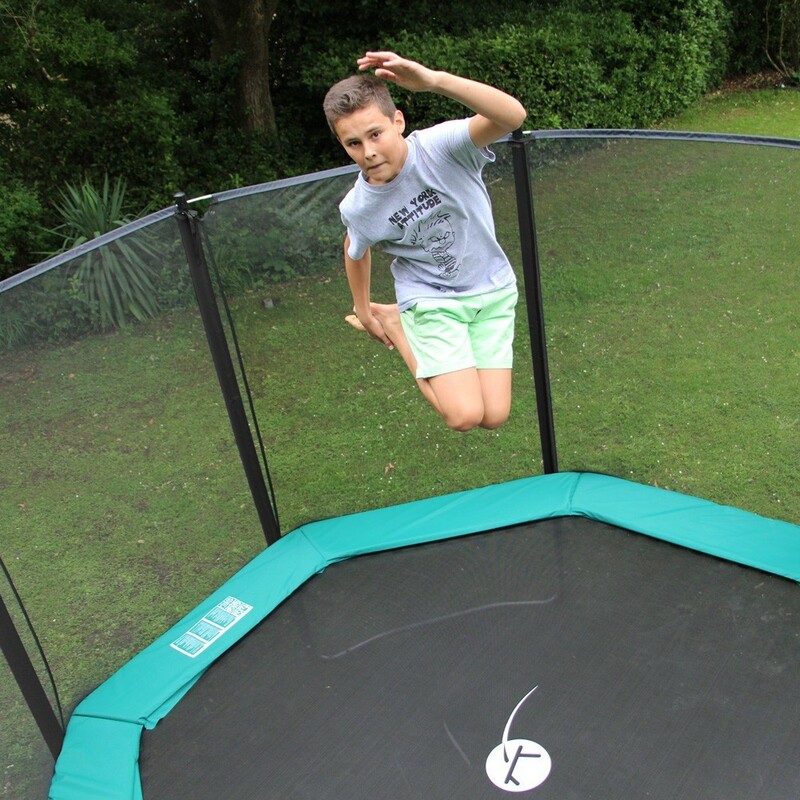 This Waouuh octagonal trampoline is for families seeking a robust trampoline for intensive use! 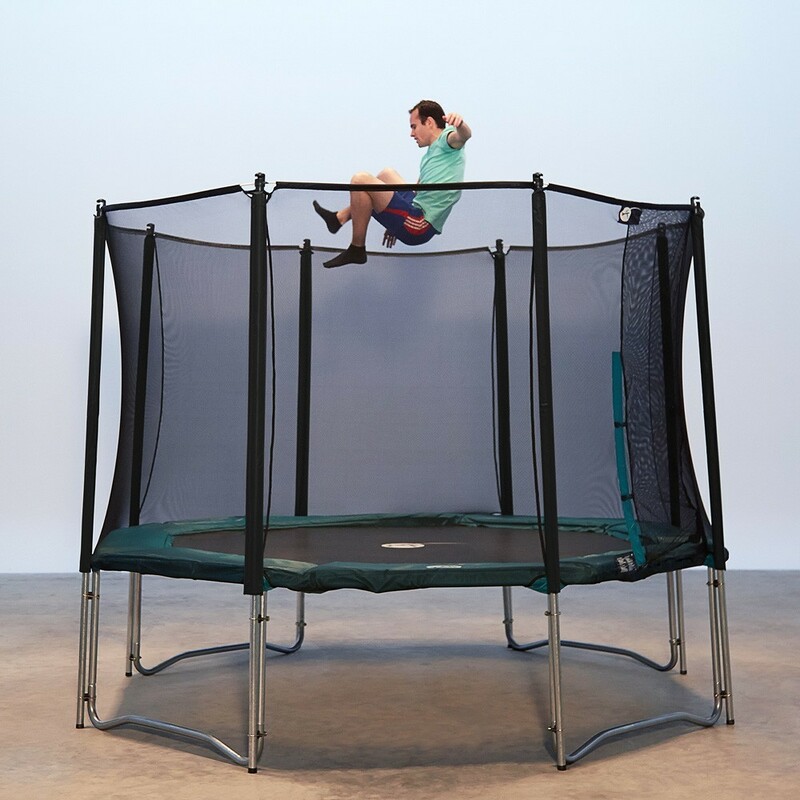 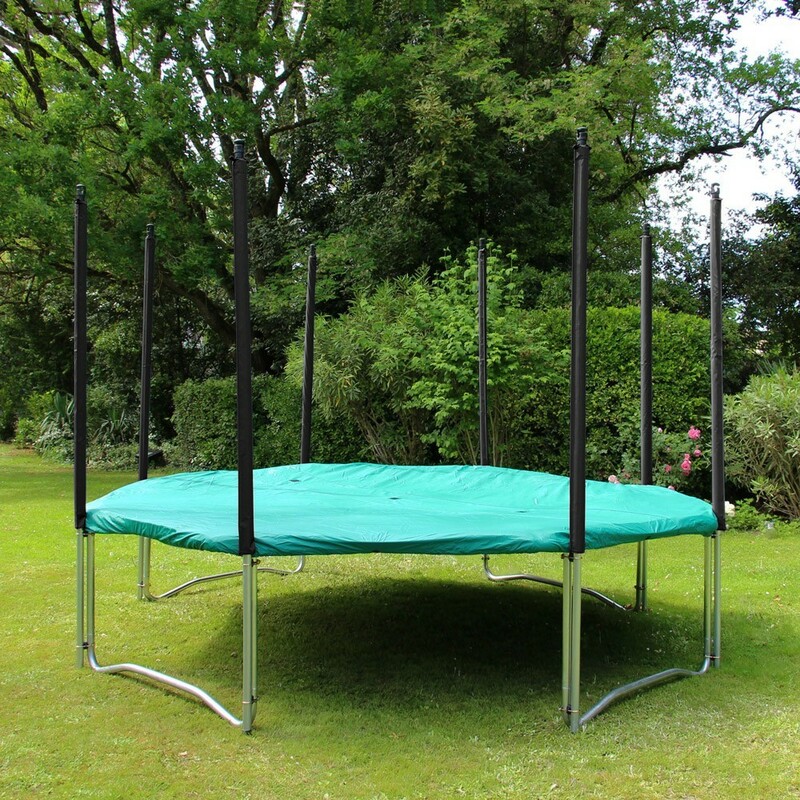 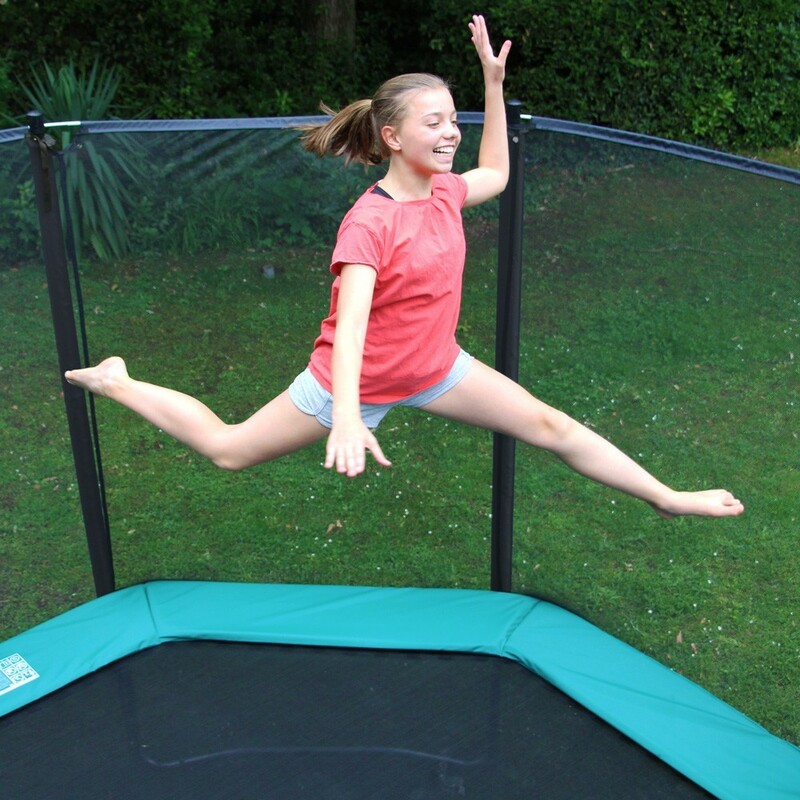 - The Waouuh octagonal trampoline has a 8.30-m² jumping mat to offer users generous, dynamic jumps. 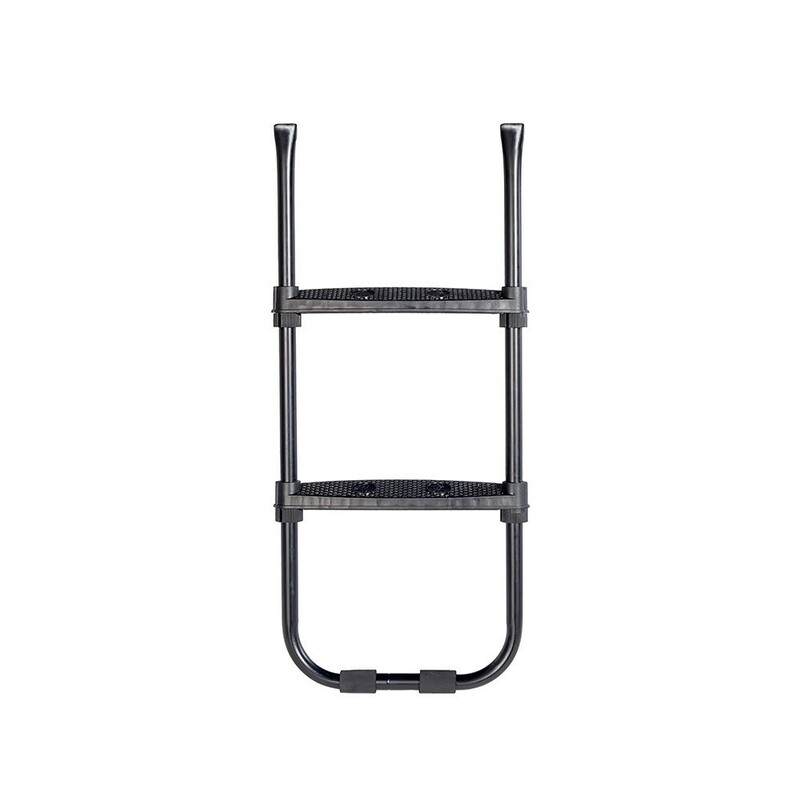 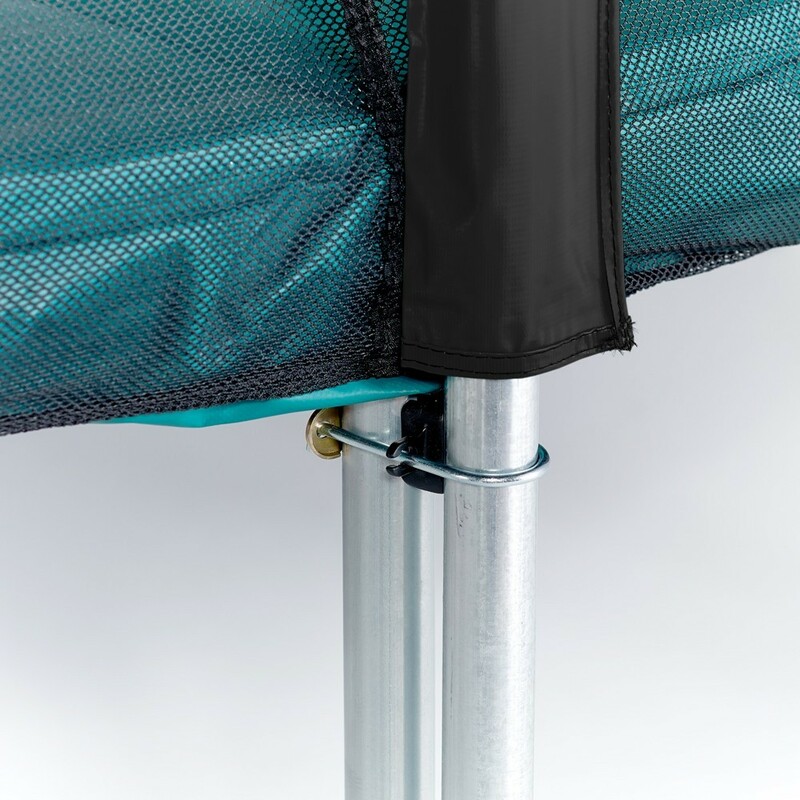 Its frame is made of corrosion-resistant stainless steel, to enable you to leave it outdoors year-round. 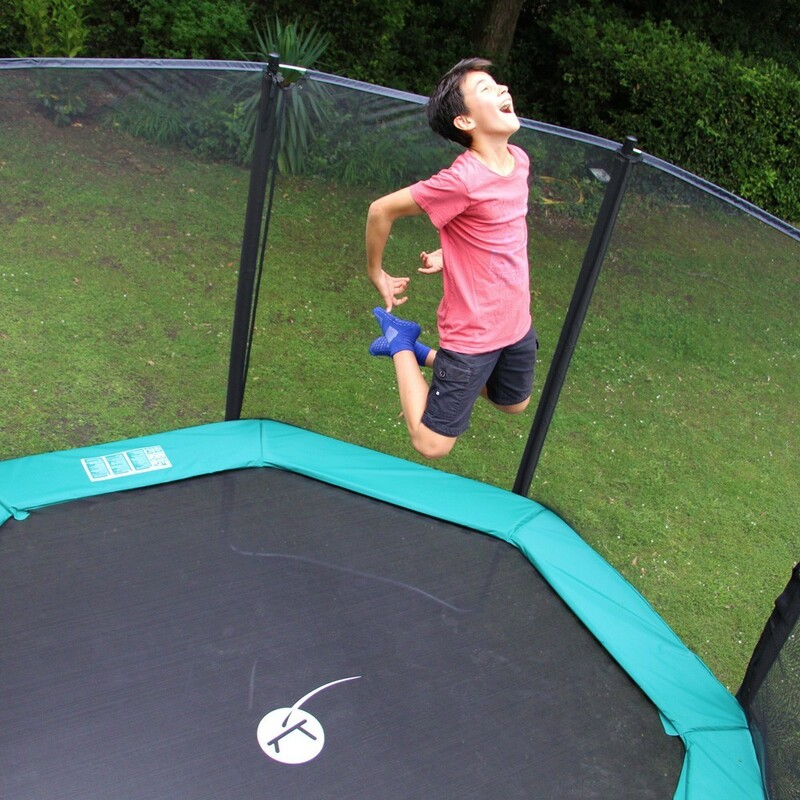 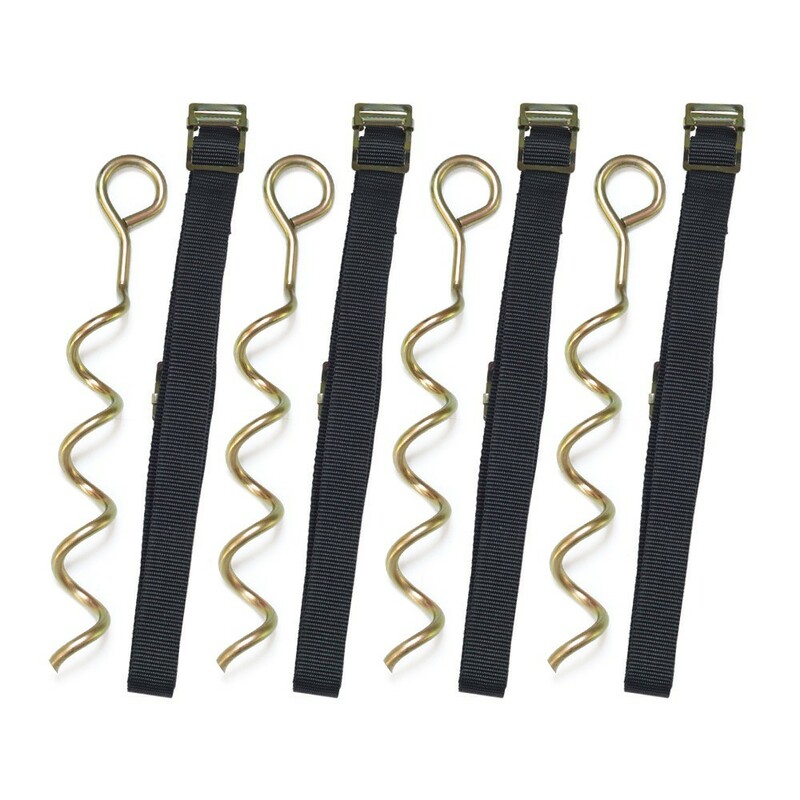 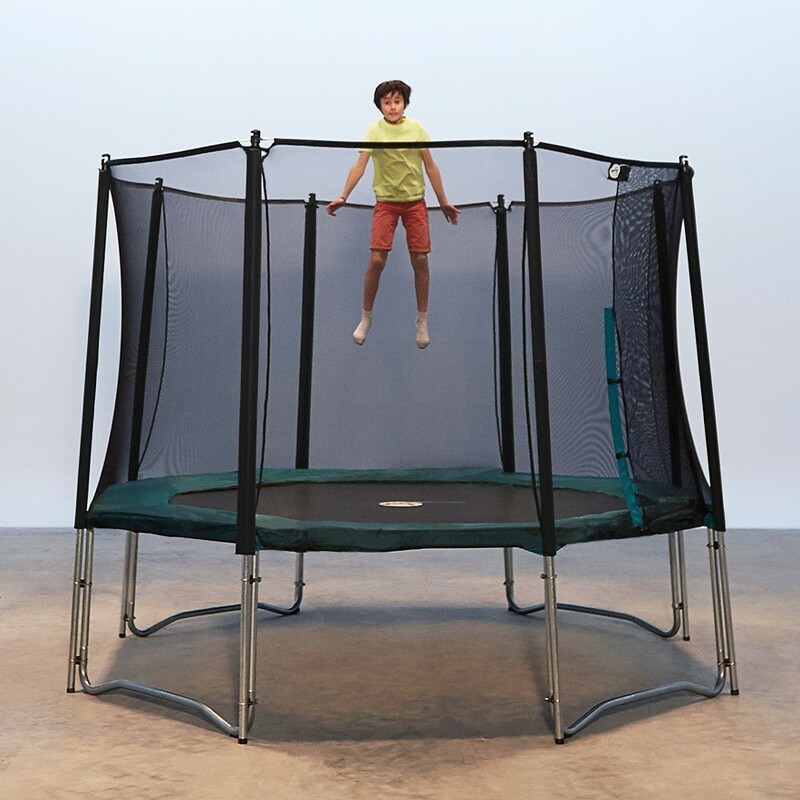 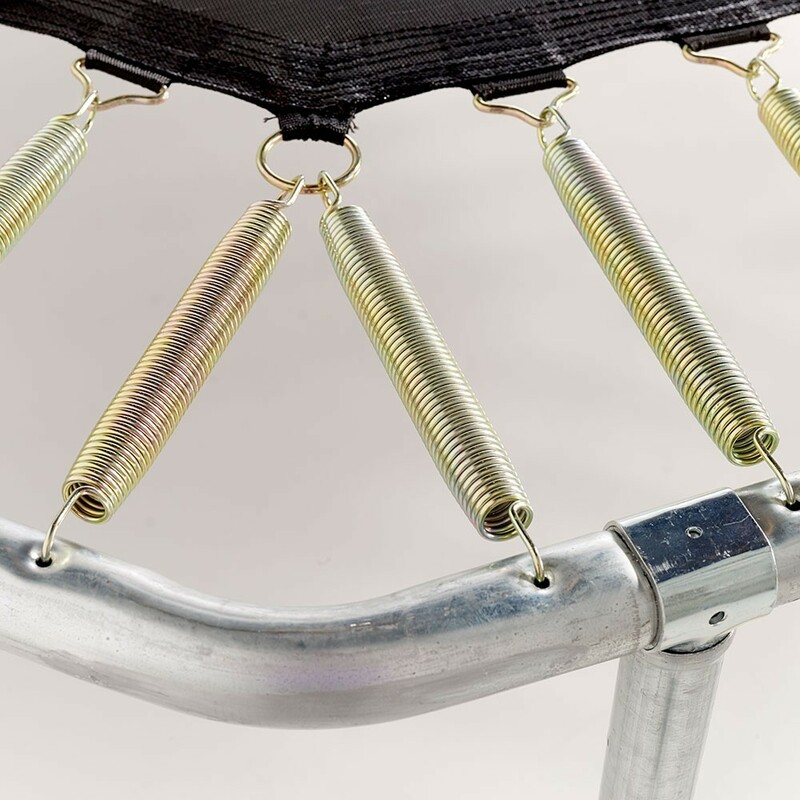 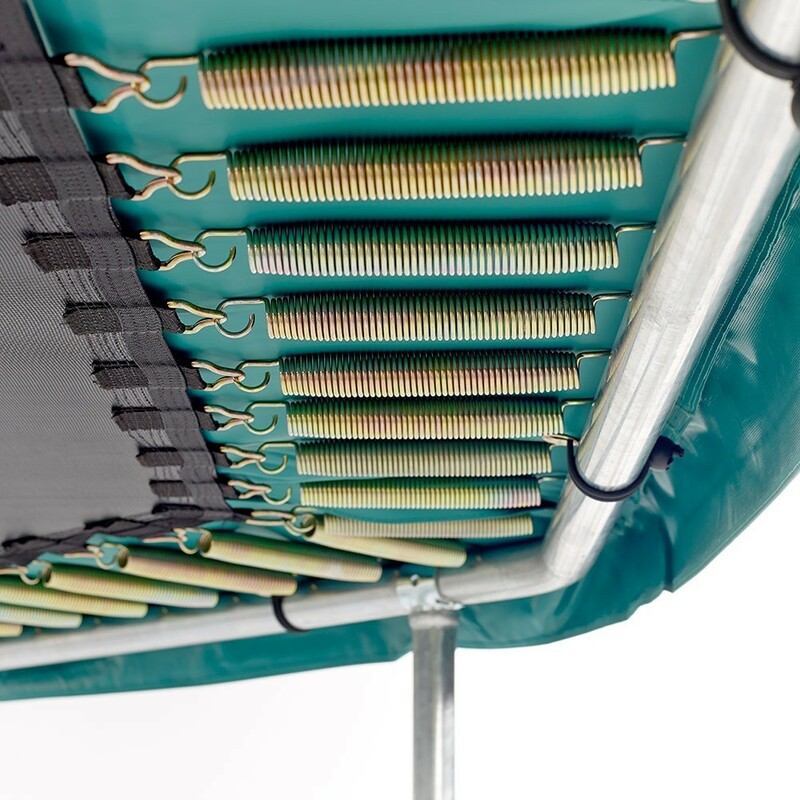 - The trampoline jumping mat is held up by 88 230-mm springs, allowing jumpers to perform powerful jumps and figures. 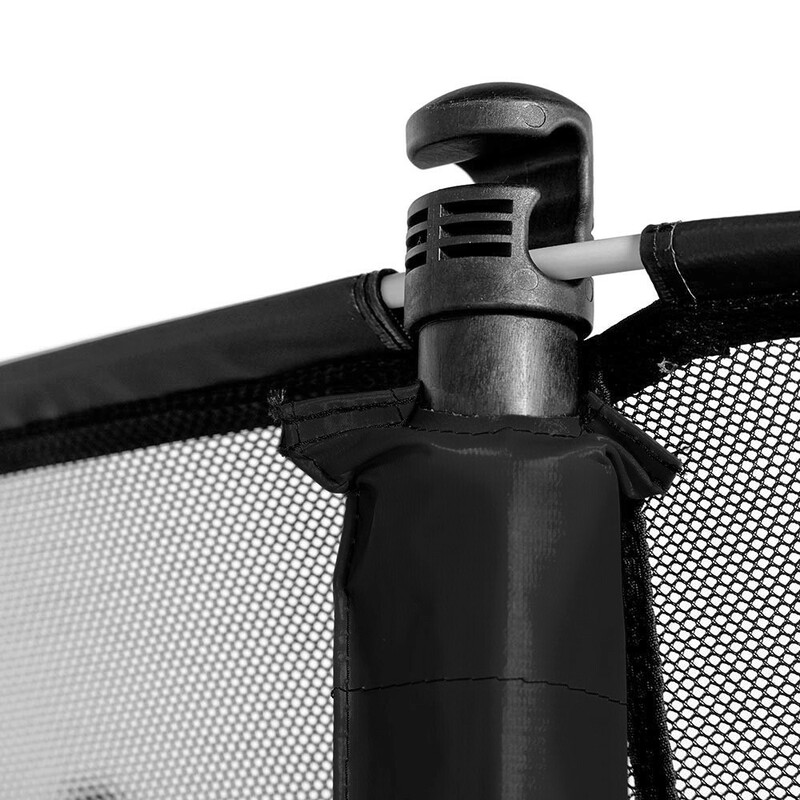 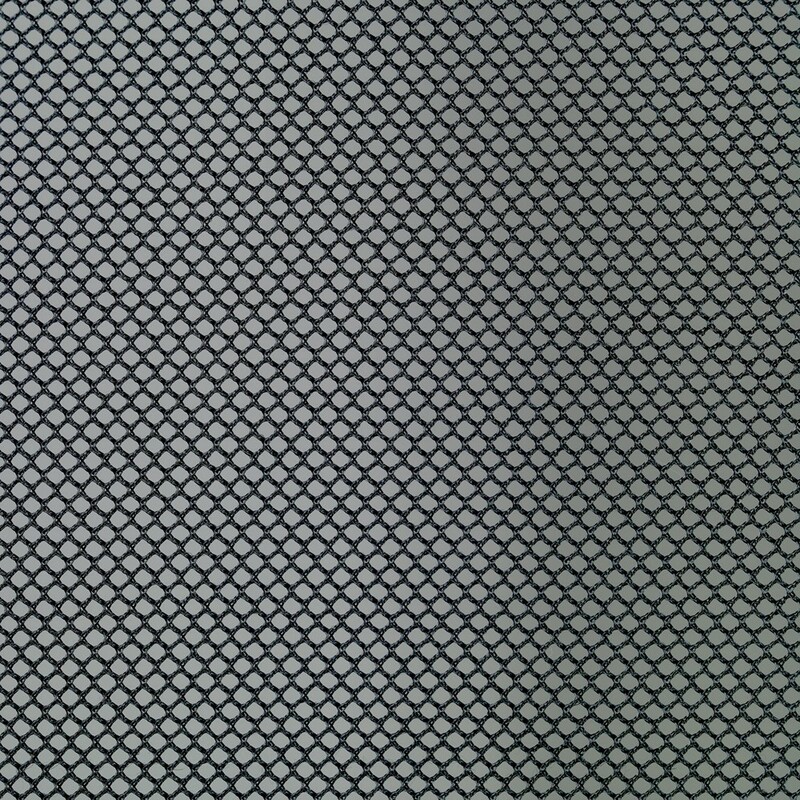 - The safety enclosure netting is tightly-woven to prevent small children from getting their fingers caught in it. 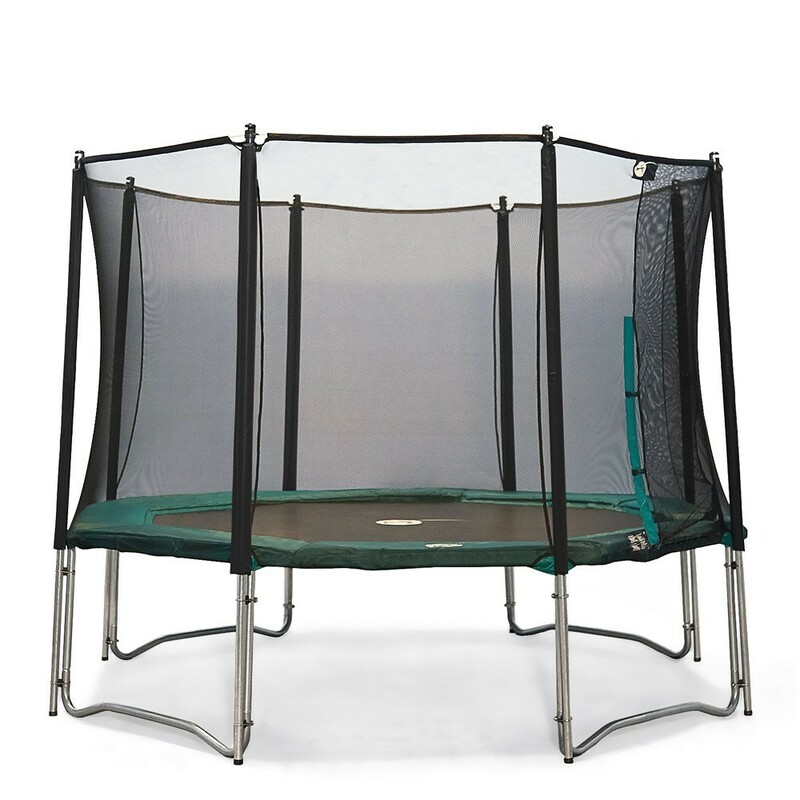 - The step-ladder's two slip-proof steps allow you to access the trampoline safely and comfortably. 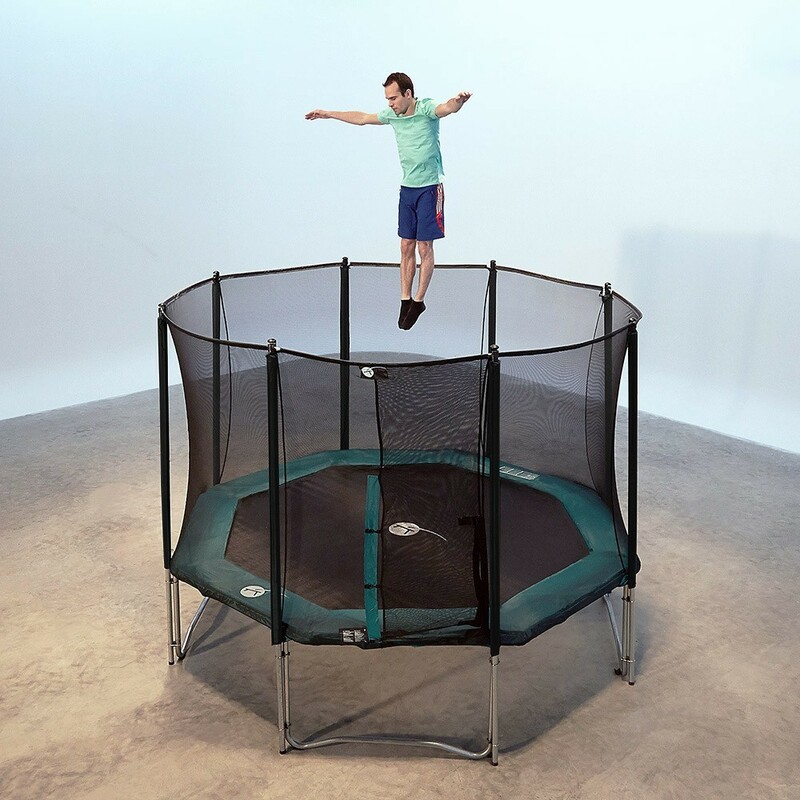 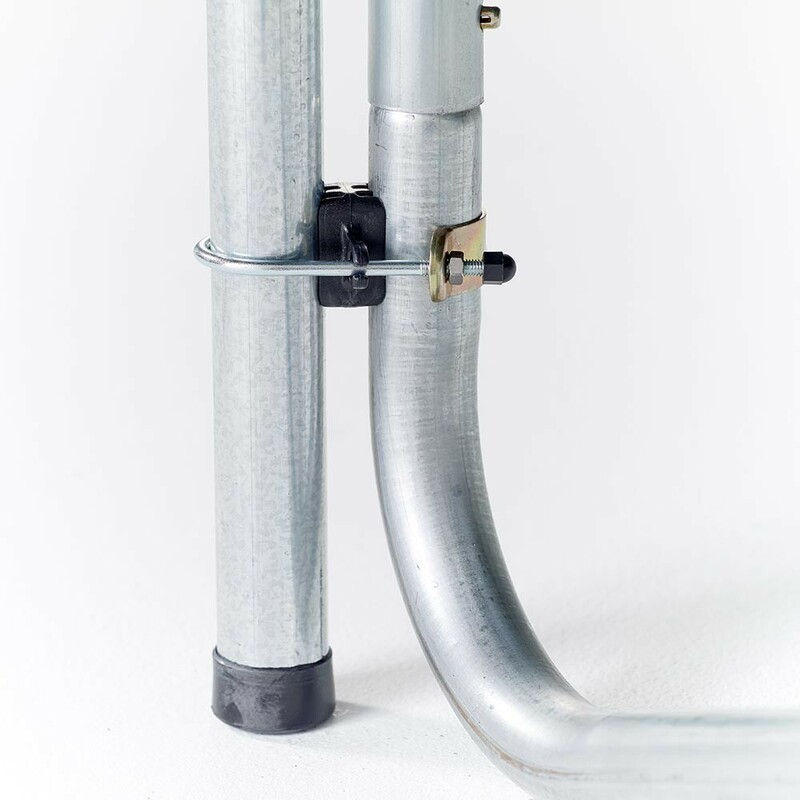 - The anchoring kit will let you solidly anchor the Waouuh trampoline to the ground and stabilize it to stand up to strong winds. 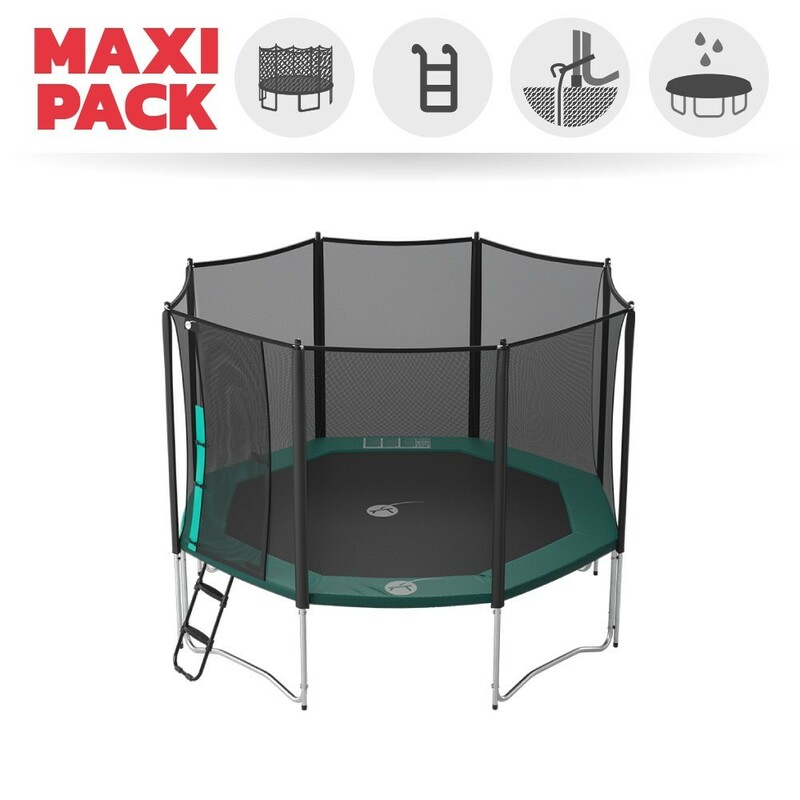 - The premium protective cover is designed to effeciently protect your trampoline from harsh weather conditions. 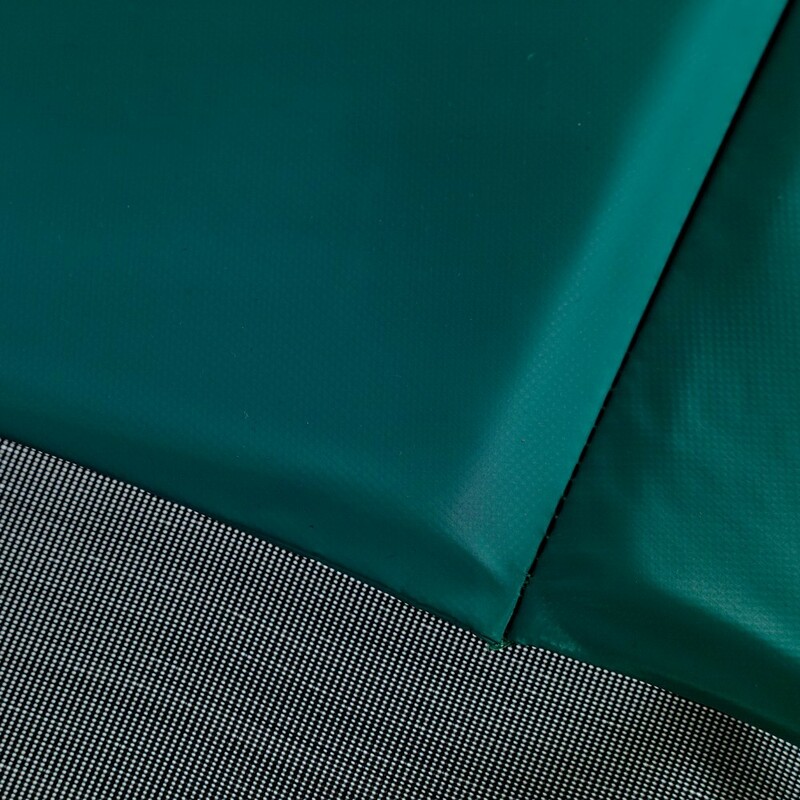 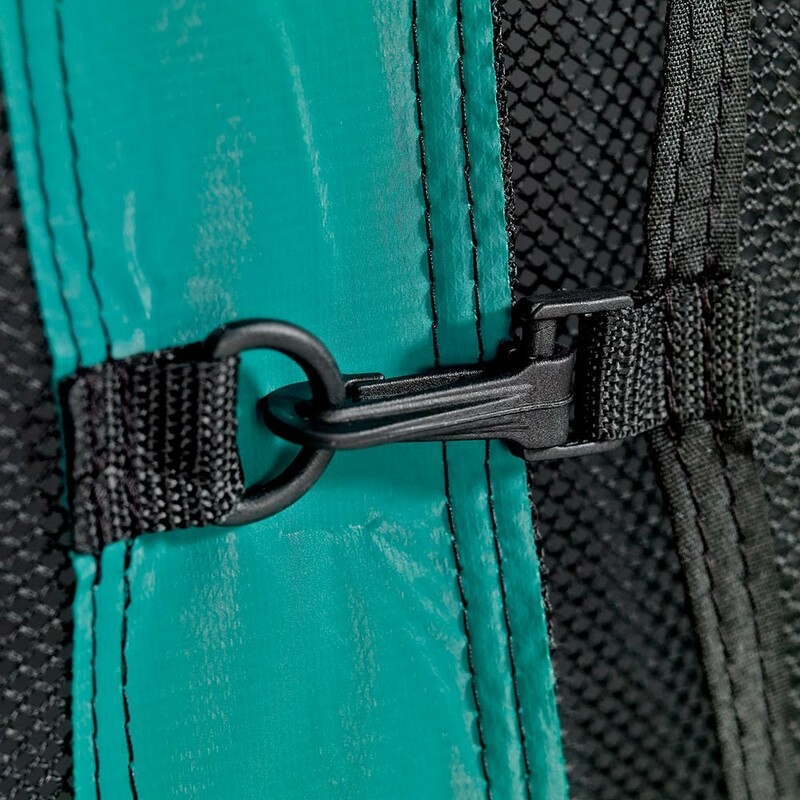 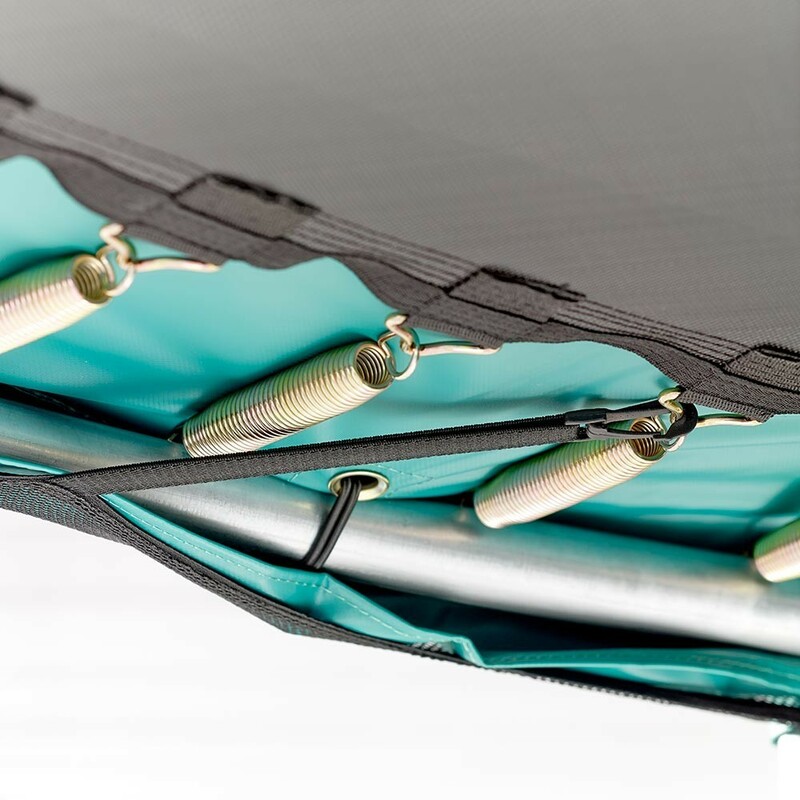 It lets water run off the jumping mat and therefore prevents the frame from bending or buckling.